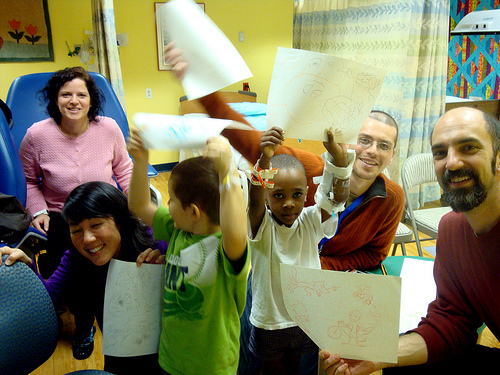 We had another wonderful, imaginative day with the kids at New York Methodist Hospital! Super Cliff saved the world in two spectacular galactic adventures and The Polka Dot Fish set new trends in ocean fashion. Thank you very much to Rami Efal, Franz Palomares, and Erin Shigaki for volunteering.